Designed, built and run by an architect/Continental chef/hotelier and his wife, Marblue is a private, intimate, quiet, luxurious European-style auberge with great style and an attention to detail. Sited directly on the beach, with its own private pool in the Old Wharf -- which is an easy 10 min. 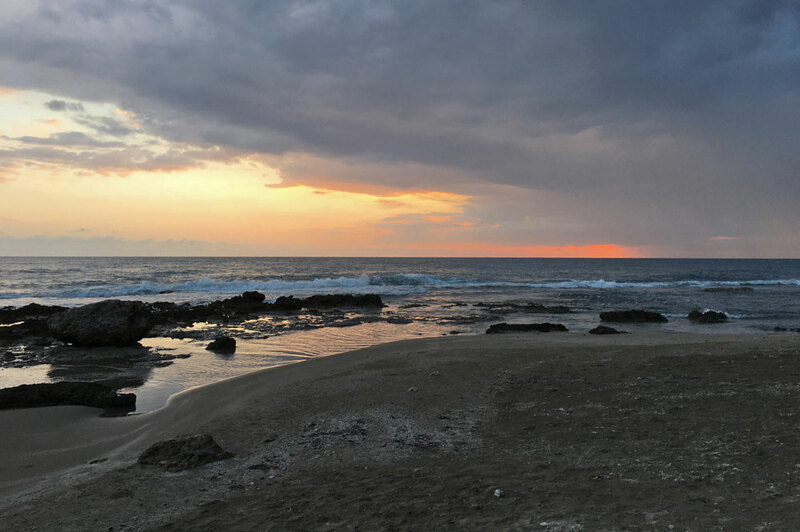 walk to Jake's, Jake Sprats and Fisherman's Bar (just to name a few), Marblue offers a true escape away from it all. 1 Villa Suite which includes 2 bedrooms (queen bed & 2 twins), fully equipped kitchen, living/dining area and semi-enclosed verandah off of the pool. (*)All Suites come with wifi, mini fridge, coffee maker, shared pool, tropical garden, lounge chairs, hammocks and communal kitchenette (includes microwave, 2 burner stove, plates, glasses, utensils). Spacious 2-bedroom villa suite with over 1,300 square feet of space, ideal for a small family or friends of up to 4. This comfortable suite comes with 1 queen-sized bed and 2 twin beds, fully equipped open kitchen(*), dining / living area with daybed. The entire suite is cooled by ceiling fans (A/C is available in both bedrooms by paying an additional daily surcharge of US$25/bedroom/night). There is also a 2nd dining table and daybed under the semi enclosed verandah that looks out to the Caribbean Sea and shared pool. This Villa Suites come with wifi, full size refridgerator, coffee maker, stove, cooking/eating untensiles + shared pool, tropical garden, loung chairs and hammocks. (*)Please not this is a Self-Serving unit - guests bring in all of their own supplies. Daily housekeeping is provided (gratuity given to housekeeping and pool/grounds man). MARBLUE villa Suites also has direct beach access and is any easy walk to 'downtown' Treasure Beach by both coastal walk and via parking area out to the road. Room Size 1300 sq. ft.
Beautiful one bedroom suite with a spectacular view of the Caribbean Sea. Feature a king bed with Sealy pillow top mattress, open living area with daybed, ceiling fan (A/C is available for an additional daily surcharge). Special features include in-room library, mini fridge, coffee maker, hairdryer, iron and iron board. All Suites come with wifi, mini fridge, coffee maker (BYO coffee), shared pool, tropical garden, lounge chairs, hammocks and communal kitchenette (includes microwave, 2 burner stove, plates, glasses, utensils). Daily housekeeping is provided (gratuity given to housekeeping and pool/grounds man). Lovely 1-bedroom + day bed in open living area suite with private balcony and spectacular view of the Caribbean Sea. This suite feature a king bed with Sealy pillow top mattress, open living area with daybed, ceiling fan (A/C is available for an additional daily surcharge). Comfortable and relaxing 1st floor suite with direct access to the pool and garden path to beach, as well as view of the sea. A 50% deposit Balance is due at least 60 days prior to arrival, 75 days prior for Christmas/New Year's. We had a great time in Treasure Beach. Andrea and Axel were very gracious hosts. When we arrived, Andrea informed us that we'd been upgraded to a nicer room. It was private, cozy and had a great view. We ate everywhere, including 2 meals at Mar Blue, Jack Sprats, Jakes, Perdy's coffee shop, Border Jerk, and every fruit stand we passed by. I got to say that I enjoyed every meal we had. The food was delicious! We had a fun day at YS Falls too. What a beautiful area. Brian, Claudette and the rest of the house staff were lovely. Mar Blue was so quiet and relaxing. 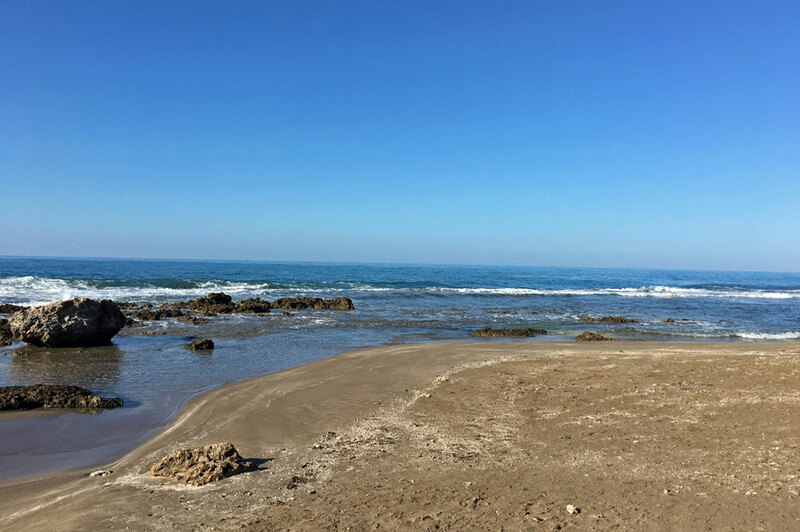 We would definitely recommend Mar Blue and the Treasure Beach area to friends. The locals were incredibly warm and inviting. "The food was AMAZING, the bed was nicer than the one we have at home, the owners are very interesting and kind -- we had a WONDERFUL stay! I hate to recommend this place because I know it's only a matter of time before it's booked all the time and then we can't stay. Truly, it's a wonderful experience and we'll definitely be back...if we can get in"! "We LOVE it here. This is just what we needed. VERY, VERY inviting, amazingly beautiful. 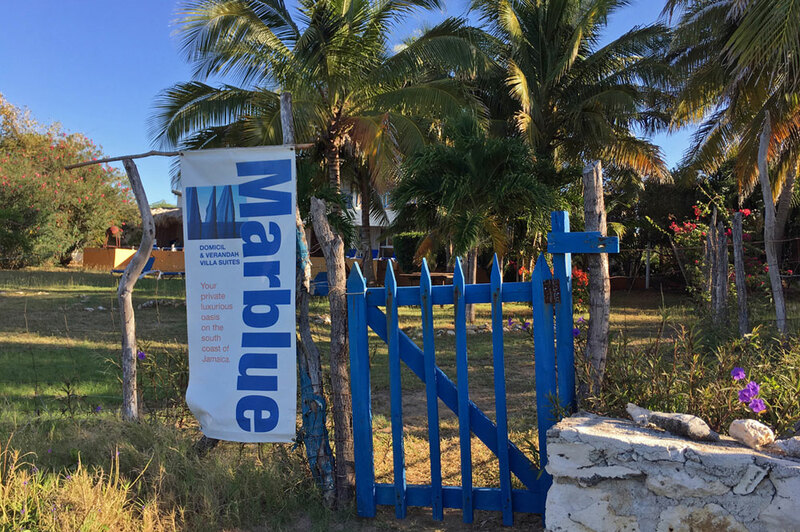 You MUST come stay at Mar Blue -- it's the best -- and Axel and Andrea's accommodating and gracious ways are just heavenly." "Unparalleled accommodations, unparalleled service -- and great value for money. Mar Blue is a wonderful place to get away from it all! I would DEFINITELY come stay again".